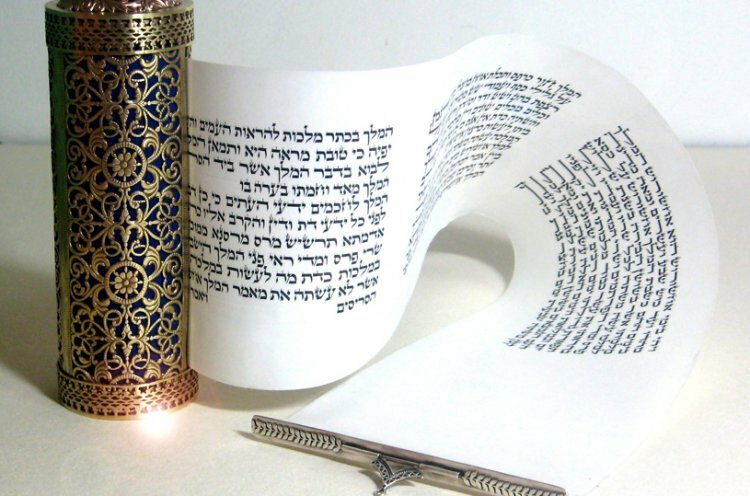 Why is the Megillah Called ’The Book of Esther’? "The Book of Esther" is named after Queen Esther instead of the righteous Jewish sage Mordecai. Although he started the process which won the king’s favor for the Jews and set the stage for their salvation by saving Ahasuerus from Bigtan and Teresh, Esther initiated the three day wave of repentance that was directly responsible for the Jews’ rescue. All the other steps would have been ineffective without the Jews’ repentance. The book was also named after Esther to remind future generations that would be beset with troubles and tribulations that “'Not by military force and not by physical strength, but by My spirit,' says the Lord of Hosts.” (Zachariah 4:6). At the allegorical level, this book is called "The Scroll of Esther" to hint that the essence and purpose of Purim is “to uncover the concealed.” We should remember that even though this holiday did not involve any outright miracle such as the splitting of the Red Sea, and the Jews could have easily interpreted the sequence of events that led to their rescue as an amazing series of coincidences, they clearly knew that there are no coincidences in the world. They attributed their rescue to their mending their ways, the prayers they recited and the repentance they did during the three days of fasting. They recognized God's hand which was guiding all events in the world in a hidden way. After they turned back God’s spiritual concealment in This World, they re-accepted the Torah which they had been compelled to accept on Mount Sinai, but this time they did it out of love and free will. The great spectacle of the Giving of the Torah on Mount Sinai was so miraculous and spectacular that it was akin to being deprived of their free will and being compelled to accept the Torah. But now, when they could interpret their miraculous rescue as a series of coincidences, and yet they re-accepted upon themselves the yoke of Heaven and ordained the day as a day of thanksgiving to God every year, their acceptance of the Torah and its commandments was a true manifestation of their free will. This is what the Gemara explains (Shabbat 88a) on the verse "the Jews confirmed and accepted upon themselves and their progeny” (Esther 9:27) — "they now confirmed what they had accepted upon themselves [when they were compelled by the miraculous events on Mount Sinai]."